Gawking over the impressive rock formation, Preashal Mor. “Beach weather” in the Scottish Highlands. Not shown: The throngs of tourists! Crossing a rock bridge at the Fairy Pools. The scenes around the Fairy Pools were out of this world. Castle Ewen. You could climb up it; I did not. The wonderful weirdness of the Fairy Glen. A random visit to the random Museum of Island Life! The furthest north we went on the island, Duntulm! It was VERY windy. We opted to stare at the Quiraing rather than hike it. The huz outside our home away from home on Skye. It was good to us. The castle is on an island where three lochs meet. Pretty views here! 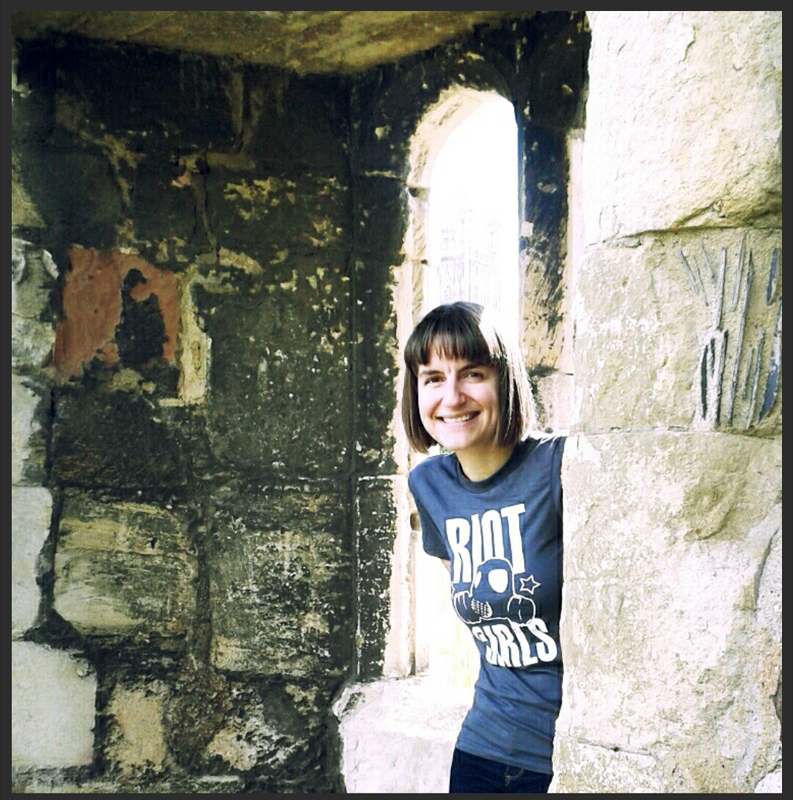 Pretending I’m the lady of the castle. Hanging with the Jacobite before setting off. Views from the train. More pretty! A view of the Isle of Skye from Mallaig. It has been more than a year since I last blogged about our honeymoon (which we went on, er two years ago! ), but ehhh. What can I say, I’m one heckuva slooowww blogger. Anyway, the remainder of our trip was very much dictated by geocaching, a rest stop and Harry Potter nerdery. Brit Boy and I decided to go to Edinburgh almost on a whim. 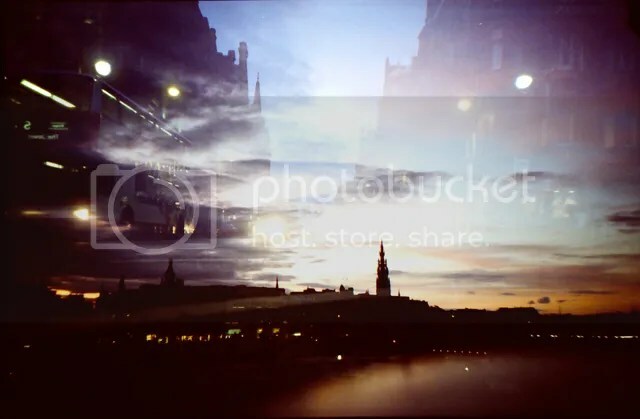 We’d been talking about taking a “Springtime trip” somewhere, and I went through my conveniently titled Travel Wishlist and saw Edinburgh at the top. I deemed that location to be more important than the others I had written down, so we went with it. 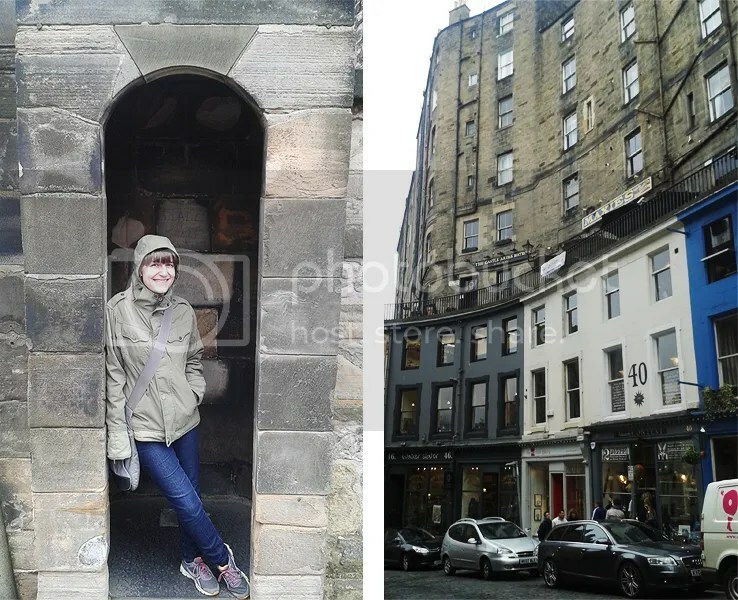 I was thrilled to finally visit Scotland. I am italicizing that word because it has been a lifelong goal of mine to visit the countries where my great-grandparents lived before immigrating to Canada. I’ve been to Germany twice and now I can cross off Scotland from the list (I have many lists…). 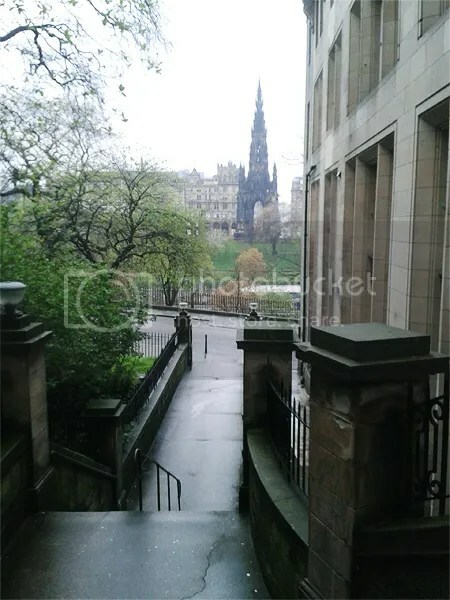 We booked a hotel through LateRooms–a cute apartment-style place with a rain shower to die for and a cute kitchen that we used frequently–that had a lovely view of the Museum on the Mound. Also, as pictured, there was an awesome seat by the window. I’d sit there every morning and eat my breakfast, listening to the sounds of the city. 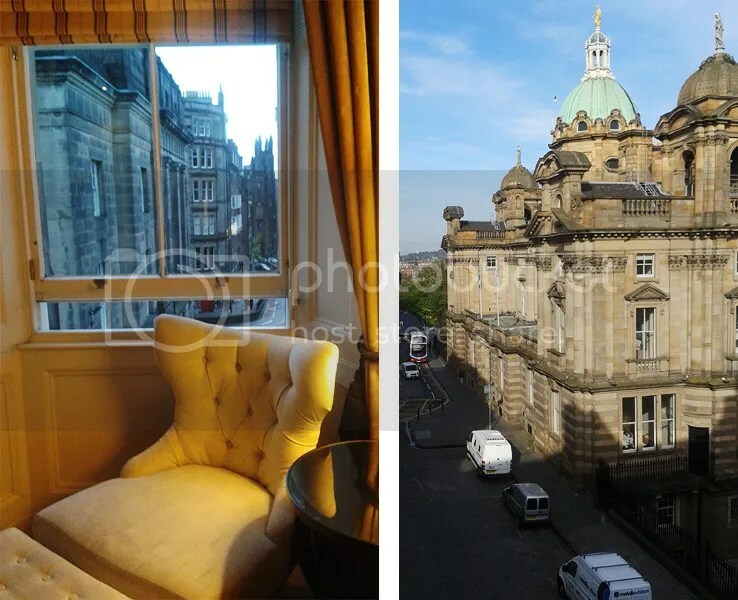 While the hotel was tucked away, we were meters from The Royal Mile, one of the most tourist laden areas in Edinburgh. There were two things we really wanted to do while in Edinburgh, and with two full days to explore we knew we could get ‘er done. 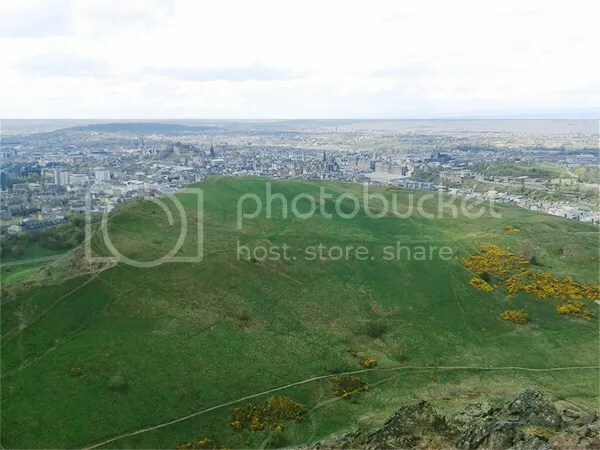 The first was “visit Holyrood Park and hike up to Arthur’s Seat.” As you can see by the photographic evidence, we did just that and it was amazing! We were sweaty, sore and sucking back the water like it was going out of style, but being able to say, “Yeah, I stood on top of a basalt volcano plug” is a pretty awesome achievement! Also…THAT VIEW. Incredible. We enjoyed our time at the park immensely. It was such an interesting place to walk around due to all the cool rock formations from the volcanic activity. One of my more unique geological experiences! That evening, and into the following day, Brit Boy and I rested our terribly out of shape bodies. We had lucked out on the weather during our visit to Holyrood Park, but the following day brought cold, mist and heavy rain showers. No matter, we were just wanting to check off the second thing on our “to see” list: Edinburgh Castle! We bought our tickets online and just picked them up when we got there and waltzed right on in. Nice! The castle grounds consist of many buildings, most of them museums, which you can walk into freely and check out the exhibits therein. My favourite was the crown jewels display, aka The Honours. The steady moving line brought guests through rooms that told the story of how, after the monarchy was overthrown, The Honours were hidden away for 111 years to be rediscovered in 1818 and were put on display a year later. The original oak chest where they were found is also on display, but to see The Honours themselves was really neat. They were so well preserved! After the castle visit, we ate out for our first, and only time, in the city at a cozy place called Under the Stairs. I’m going to admit here and now that I have been planning to eat here since I read this blog post nearly three years ago. Yes, I’m a freak, but it was worth it. The restaurant was quiet for a Friday and, after being amongst tourists all afternoon, it was nice to be in an area of town that was largely tourist-free! Above is a shot of The News Steps which brought us to our hotel every afternoon and evening. We’d be huffing and puffing once we conquered these steps, but it was nothing compared to the steady incline up to Arthur’s Seat! These hilly paths and streets brought me to some amazing places. My quads may have seized up a few times, but it was worth it, I tell you! And just now, I deleted “Edinburgh” from my handy dandy travel wishlist. That felt good. I’m hoping to do more of that in the months to come.